Jennifer Lopez is the busiest woman in show business. The ultimate triple threat just revealed that she is starring in a new movie called Hustlers (along side Constance Wu and Cardi B) and announced the imminent arrival of a new single. J.Lo’s next bop is called “Medicine.” The track features French Montana — an “I Luh Ya Papi” reunion! — and drops on April 5. You can pre-save it here. “I CAN’T WAIT for you guys to hear it,” Jenny captioned the striking cover art (below) on social media. At this point, the flawless 49-year-old has been chipping away at album number 9 for several years. Not that Jennifer has been stingy with content. She continues to bless us with bangers in both English and Spanish, but it would be nice to get a larger body of work from her. The pop icon already has enough content for a very good album when you factor in songs like “Te Guste,” “Ain’t Your Mama,” “Amor, Amor, Amor,” “Us” and “Dinero.” Hopefully, there will be some kind of announcement when “Medicine” drops. 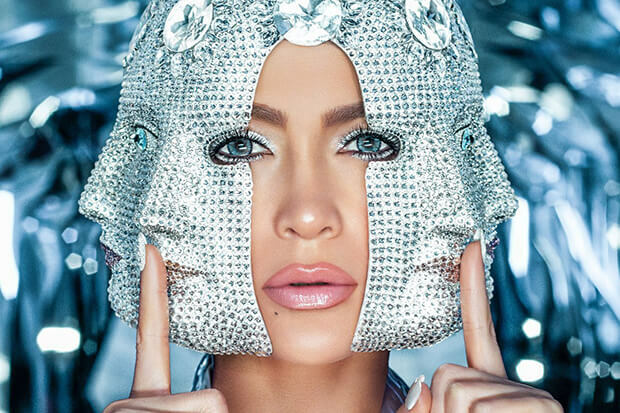 Are you excited for J.Lo’s new single? Let us know below, or by hitting us up on Facebook and Twitter!